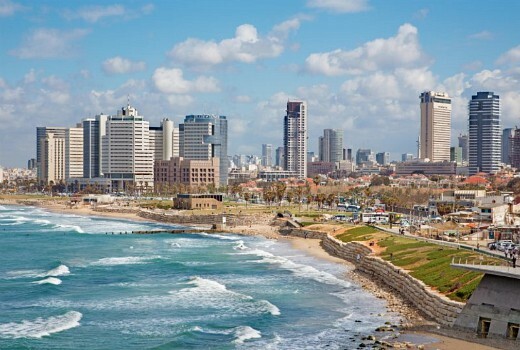 Tel Aviv has been named as the host city for the 64th Eurovision Song Contest in 2019. It was chosen ahead of Jerusalem and Eliat by the European Broadcasting Union. It will be held at the EXPO Tel Aviv (International Convention Center) with the Semi-Finals on the 14 and 16 of May, and the Grand Final on 18 May. This will be the third time Israel has staged Eurovision, previously in 1979 and 1999, but the first in Tel Aviv. It was chosen in part for its openness to the LGBT community and ability to host a rehearsal on the Saturday during the Shabbat. Exactly. So sick of have to repeat this all the time. Some people just cant get it in their heads that the Euro in Eurovision does not refer to Europe. Probably a wise move, given the status of Jerusalem as a flashpoint. While I don’t think any violence would have taken place, having the city representing Israel would not have gone down well with Palestinians, methinks. Israel like Australia should not be part of Eurovision. If there is a wish to broaden the project at least open it up and call it World Vision and make it world wide. There’s a comment like this almost every time Eurovision is mentioned here. The fact that it’s repeated so often shows a fundamental lack of knowledge about what Eurovision is, and absolutely no interest in wanting to understand. Hint: it’s nothing to do with the EU, or even geographical Europe. It started as an activity of the European Broadcasting Union – an alliance of public broadasters sharing programming, technical standards, & R&D – which was the successor to the International Broadcasting Union & International Broadcasting Organisation. Did you know that Tunisia, Morocco, & Lebanon – also not in Europe – were founding members of the EBU, and continue as members to this day?